Holly Webster provides overall direction and oversight for a number of KWA programs including risk management, safety, marketing, human resources, IT, and overall project compliance. As a member of the executive management team, Holly is also responsible for coordinating the development and implementation of a number of strategic initiatives. She works closely with KWA employees to improve the efficiency and effectiveness of our organization. Prior to KWA, Holly held several positions with Shell Lubricants including packaging supervisor and production planner in Los Angeles, California. She also served as a supply chain analyst for Shell in Houston, Texas during which time she worked with approximately six manufacturing facilities to maximize inventory and production efficiencies. 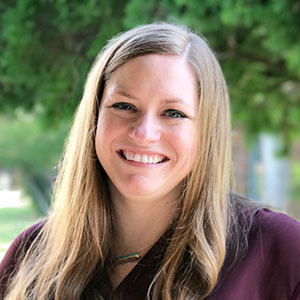 Holly earned a Bachelor of Business Administration in Information and Operations Management degree from Texas A&M University in College Station, Texas. In her free time, Holly raises two young boys, and serves as a Court Appointed Special Advocate (CASA) volunteer with Dallas CASA.